Old apartments are not all doom and gloom, for one thing, they usually have plenty of space to work with, chic detail and functional design. To furnish an old building with modern decor is not that difficult. It requires a plan, a budget and of course helpful hints and tips from professionals. These 5 practical ideas will assist you to furnish that old building in sophisticated fashion and charming personality. Interested? Well, let's get started with these ideas where tradition meets function. 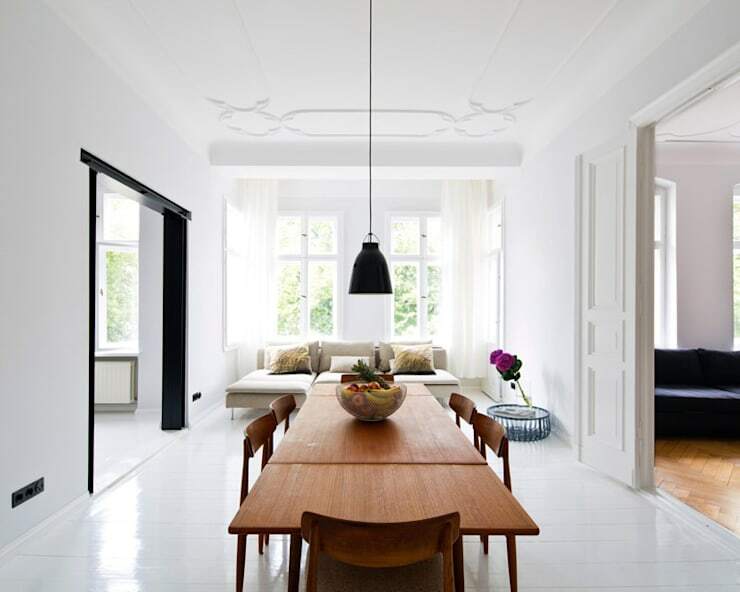 Modernity and tradition can work well together to furnish an old building classily. 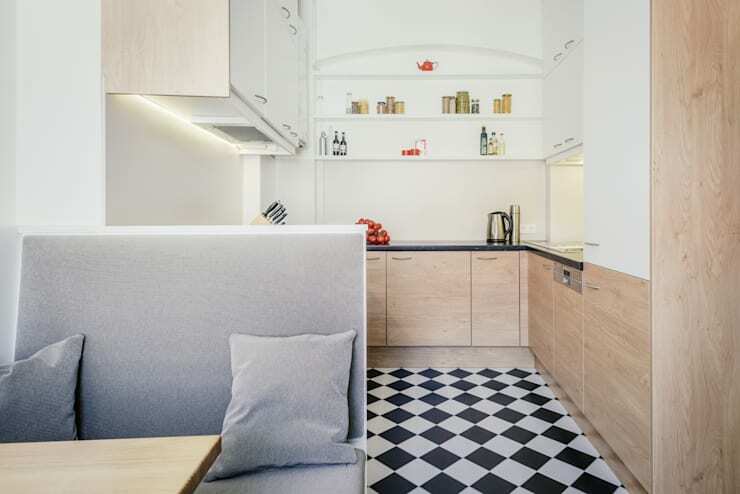 Maintain the existing architecture of the old building and incorporate some minimalist ideas, such as the cupboards, lighting and even the flooring. The shelves of the old kitchen remain fitted, but the new counters add a contemporary element. It's simple, clean and modern. The perfect way to furnish and old building without a fuss. 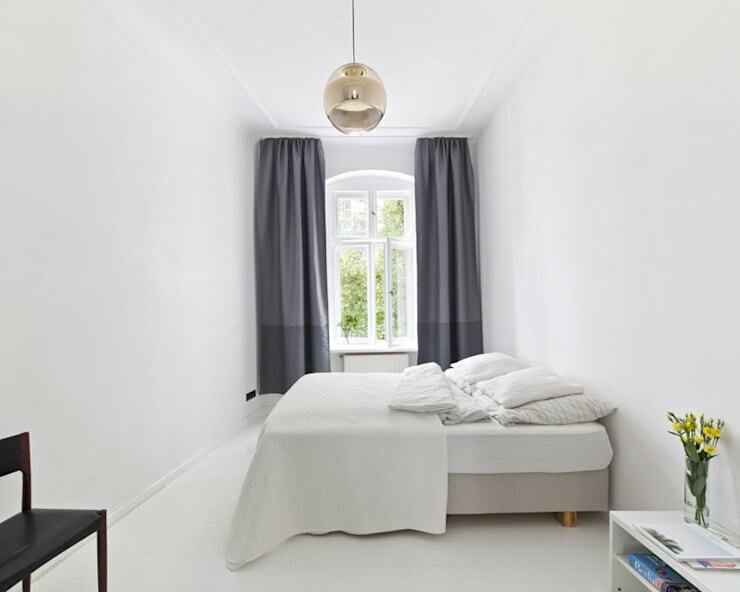 Change up the old colour scheme for brighter and all-white minimalism, add curtains that extend the height of the window, allowing the bedroom to look wider, the old arch of the window is now an accent feature that enhances that vintage ambiance. The modern hanging lamp at the centre of the room is perfect to illuminate the space during the evening. We spoke earlier about how spacious old buildings can be, and these sliding doors will definitely add a contemporary edge to an open plan living, dining and kitchen area. The living space will still be elegance, bathed in natural light and comfortable, but its wide sliding door includes a privacy element to furnish this old apartment in modern detail. Even though this old building has been upgraded with lighter hues, it's the wooden dining table and high ceilings that incorporate a bit of old fashioned charm. 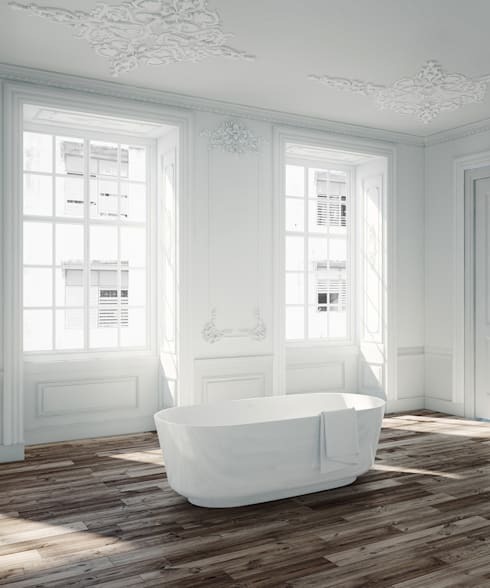 Large windows, high ceilings and ornate patterns adorn this vintage bathroom, but it's the new bath tub, stylish flooring and minimal design that will furnish this old building classily. You don't need to opt for sleek tiles to decorate the floors and walls of a bathroom, wooden flooring can be brought into the modern age with a lacquer to protect it against the humidity and moisture. White is a classic choice that will remain trendy for years to come, so bear that in mind when planning your bathroom layout and design. 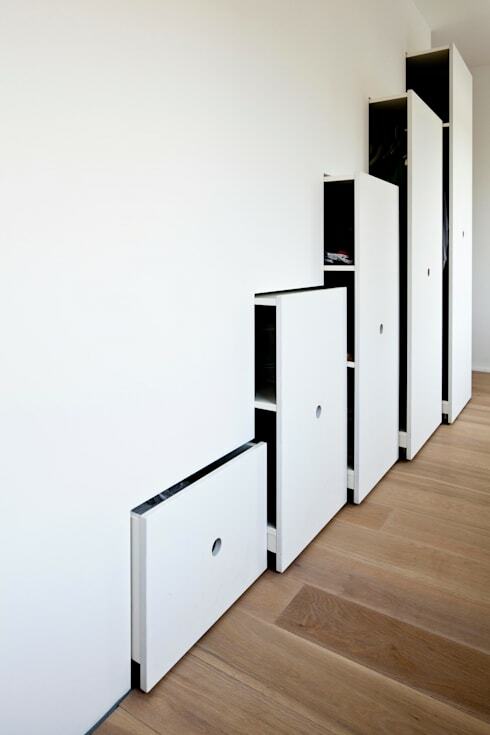 Storage space is another factor that modern homes often consider, while old fashioned homes relied on cupboards and drawers in every corner. Furnish an old building with hidden storage units under the stairs, and you'll have more than enough space for everything from your winter wellies to get pillows. Here are 10 fascinating ideas for ceiling design. Which of these ideas are perfect for your old home?